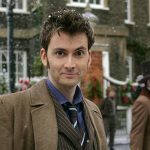 If your TARDIS happens to be in the North Texas area beginning today through Sunday, you need to head on over to WhoFest4 DFW for more Doctor Who than the law allows. The fourth year of the fest promises, once again, to be ‘bigger on the inside’ this year with more panels, guests, concerts, Q&A sessions, celebrity photo ops, costumes across time and space and even activities for the youngest Doctor Who fan in your household. It all happens at the Westin DFW Airport beginning this afternoon through Sunday. 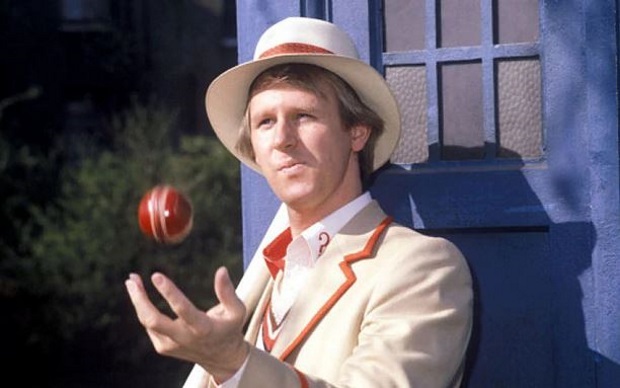 This year’s guest line-up is headed up by none other than the Fifth Doctor, himself, the great Peter Davison! Already widely known for his role as Tristan Farnon in the television version of James Herriot’s All Creatures Great and Small, Davison signed on as the fifth incarnation of the Doctor in 1981 succeeding Tom Baker. 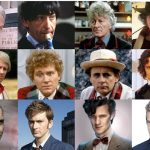 At age 29, Davison was the youngest actor to portray the traveling Time Lord, a distinction he held for almost three decades until Matt Smith became the Eleventh Doctor at the age of 26 in 2009. After he turned over the keys to the TARDIS to Colin Baker, Davison landed numerous guest roles in various series in addition to securing starring roles in the likes of Campion, A Very Peculiar Practice, At Home with the Braithwaites and a return to All Creatures Great and Small. Davison also saw his acting dance card fill with guest roles in a number of well known series such as Jonathan Creek, Mrs. Bradley Mysteries, Midsomer Murders, Miss Marple, Unforgiven, Miranda, New Tricks, Lewis and Death in Paradise. From 2011-14, the former Fifth Doctor played Henry Sharpe, the Director of the London Crown Prosecution Service (CPS), in Law and Order U.K. In 2017, Davison will appear in an episode of the third series of Grantchester, playing a cricket-loving solicitor. 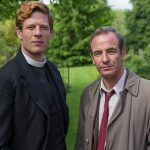 BTW, Grantchester 3 returns to PBS on Sunday, June 18, so be sure to catch Peter in this one! Also appearing at WhoFest will be actor Mark Strickson, best known to Doctor Who fans as Victor Turlough, a popular companion to the Fifth Doctor. 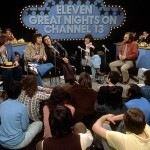 Since the mid-90s, Strickson has become a well-known and respected producer of television wildlife films. Mark founded 5to9 Productions, a production company that specializes in high end nature, history, adventure and science programs for TV networks all over the world. Check out all the goings on this weekend before you head over to the Westin DFW Airport for WhoFest4 DFW. It will be a great way to spend some quality TARDIS time this weekend. 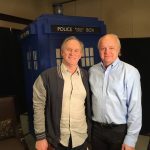 FYI, KERA will premiere the first Peter Davison Doctor Who episode on Saturday, June 3 and then add it weekly to the schedule on Saturdays at 12 midnight beginning June 24!